We will stay in a 4 starts hotel in Ried im Oberinntal, a nice town less than 10km away from the ski resorts. 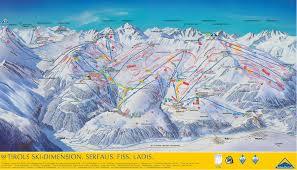 The club bus will drive us to the ski resort, but there is also a free public bus to the ski resort, which stops 2 minutes walking from the hotel. The hotel offers a sauna, where you can relax after a tiring day. Sharing your stories after dinner is also part of the fun.